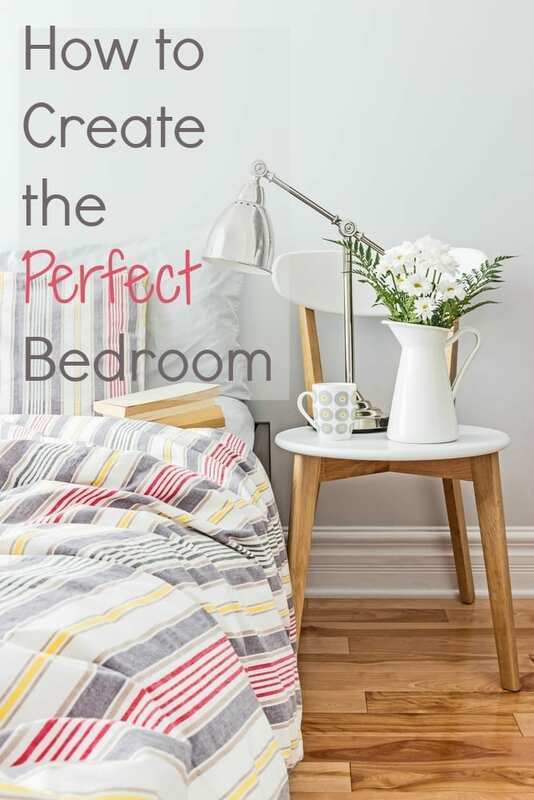 Do you dream of how to create the perfect bedroom? Do you long for the day when you can retreat into your own private sanctuary and just let the worries of the day float away. When that space is free from kids’ toys, laundry and piled up dirty clothes. When it becomes the relaxing space you long for it to be? Well, worry no longer, as I’ve put together some of my top tips for how to create this kind of haven, whether you have a family, live alone, own your own home or are in rented accommodation. All of the rules and suggestions apply so read on and do let me know if you would add anything else to the guide, in the comments below. Keep it Calm: This means in both appearance and ambience. Search out the best types of storage for your possessions and reduce the clutter. Ensure everything has a place and spend 5 minutes at the end of every day tidying the space. Only have the real essentials and decor accessories on show if you can. 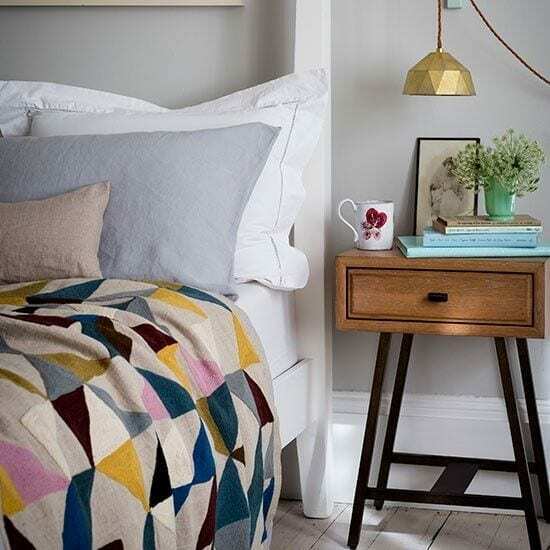 Choose the Right Colour: This will often depend on the rest of your home decor, you’ll want to create a bedroom that works with your style, but generally go for something cool and calming. Greens and blues work well, as do neutral tones. If you love romantic red, that’s fine but don’t use too much as it’s a very stimulating colour. Black can work too, but liven it with white and pops of yellow or turquoise. Why not go for some of the on-trend pastels or metallic shades, all proving popular this season. 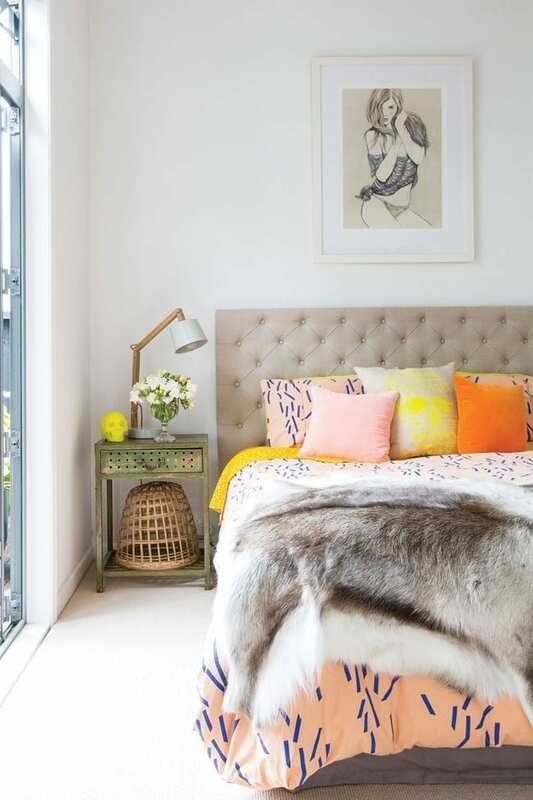 Amara has a great article featuring top tips and ideas from interior designers and bloggers on inspirational bedrooms. Do check it out if you’re looking for more ideas, including my favourite bedroom. Hide the Tech: We all like to snuggle in bed with a good movie right? Well pop the tech in a cupboard or wardrobe to give your home the true boutique hotel feel. It will help you sleep too, if there aren’t any standby lights on view at night. Banish the Toys: For those of you with children, keep it a toy free zone. That doesn’t mean banishing the children of course, but if they do bring their toys into your private, grown up space, just make sure they take them away again. Furniture Tips: Get the best bedroom furniture you can afford, and ensure it fits the space. Solid wood furniture from somewhere like Furniture 4 Your Home is a good starting point, particularly if you’re looking for something locally made, bespoke and painted in high quality Farrow and Ball colours. Invest in good quality wardrobes, they’ll last a lifetime. If you don’t have the option over choosing your own furniture do rearrange the room regularly do make the most of the space, and help the room reinvent itself. It’s a wonder what a little revamp can do. And of course, why not upcycle or paint old furniture too to match your new bedroom decor. Laundry: The biggest problem in my own bedroom, is allowing it to be a dumping ground for the family laundry. So, invest in some stylish laundry baskets (if you can’t fit them in the bathroom) and put away clean clothes as soon as you can. Create a Sanctuary: You want the room to be relaxing, so once you’ve decluttered and tidied, shut away the tv, and sorted the laundry, don’t forget to add some of your favourite things. They might be candles, family photographs, flowers or new bedroom accessories. Enjoy your bedroom space, relax and kick back at the end of a busy day. If you like these ideas then why not check out some other popular posts in the ‘Perfect Home‘ series. There’s the Perfect Home Office, the Perfect Dining Room, the Perfect Living Room and, of course, the Perfect Bathroom. There are some great ideas there, my kids now know my new bedroom is our space now and it is not going to be full of there toys and clutter! Great tips, Jen. One thing that can make a huge difference is storage. Last year I did a project where we installed a TV cabinet which stores all the gadgets and hides the TV. It makes so much difference as it also stores all DVDs, CDs and hi-fi system. Personally, I moved the laundry basket into our family bathroom which eliminated all the clothes from all bedrooms apart from school uniforms in my girls bedrooms, which they hang on hangers. I thought them well I think. Great idea re the laundry baskets Karolina, only wish we had space in our bathroom for this, might mean less clothes on the floor in kid’s bedrooms! Thanks for sharing these tips. The lamps in the pictures are all amazing! I need to invest in a well designed lamp. 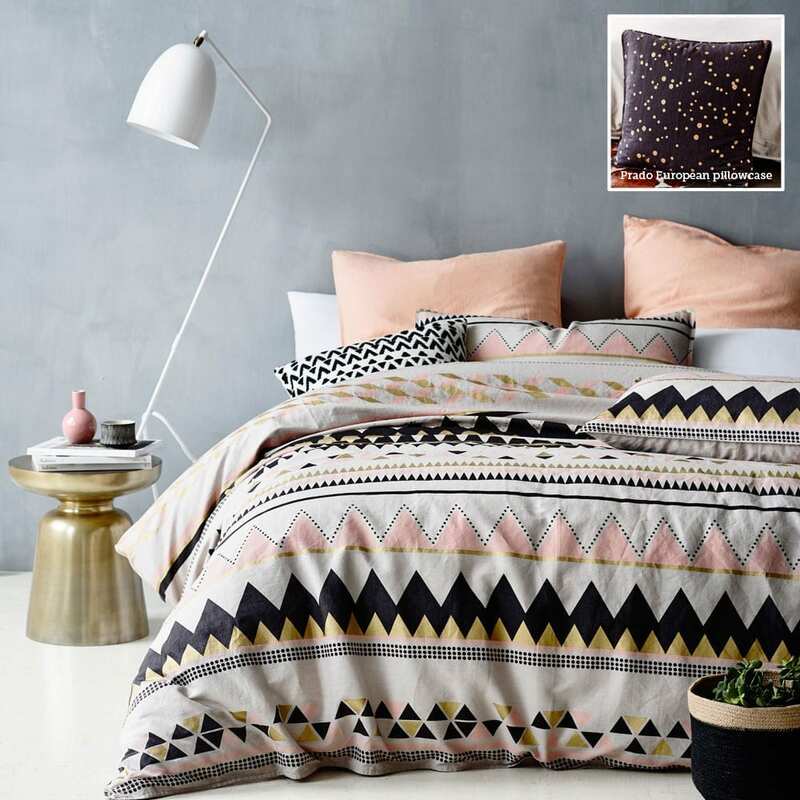 I’m considering updating my bedroom and I love the pastel colours combined with metallics but I’m worried that it’ll just a be short lived trend and I’ll just have to redesign again soon. I guess that;s just how interior design works though isn’t it!